Following the growing need for quality control in factories, Geonoise has launched NoiseQC, the software for manufacturers wishing to improve their quality control methods and productivity. Through this visually based and easy to use tool, the tests for Go / NoGo and practical statistics are directly available to the user. 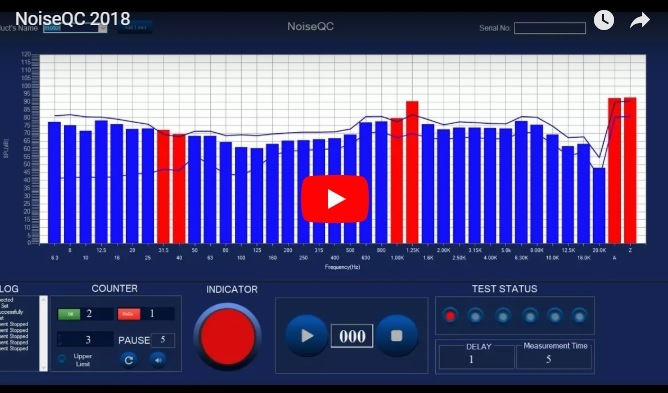 It is primarily through the analysis of sounds and vibrations that NoiseQC software can objectively analyze the functionality of all kinds of products in all environments and determine whether the product can be marketed (Go) or has to be set aside for further inspection (NoGo). Together with NoiseQC there is a SoundBOX which can be fitted with either a microphone or accelerometer. Offered is a complete set including hardware (Nor135) microphone or accelerometer and NoiseQC software. By using NoiseQC software any issues in the manufacturing process that leave room for improvement will be shown. Finally, in this website you will find tutorial videos of how to use the software. Geonoise also offers tutorial videos and how to use guides so it will be easy to setup the software to improve Quality Control of finished products.